In addition to building a strong Instagram profile and engaging followers through regular posts, brands can reach audiences through Instagram ads. And why not? With 800 million monthly active users, 60 percent of whom are under 30, Instagram is a massive platform for connecting with audiences and building your brand. Plus, eMarketer estimates that Instagram will bring in $6.84 billion in global mobile ad revenue in 2018—a rapidly increasing chunk of parent company Facebook’s global ad revenues. More than two million companies use Instagram ads to reach audiences, engage followers, and promote their products. If your company is ready to join them and start advertising on Instagram, read on for everything you need to know. Instagram offers five ad formats: photos, videos, carousels, canvas Story ads, and Story ads. All are seamlessly incorporated into Feeds and Stories for a smooth user experience. Ads are also integrated with Facebook Ad Manager, so you can take advantage of Facebook’s wealth of user information for targeting your audience with laser precision. To see how your content will appear in different formats, check out Facebook’s guide to choosing the best Instagram ad format for your content. Photo ads allow businesses to tell their story and showcase their products through compelling images. If you’re already crafting top-notch visual content, Instagram photo ads give you the platform to share it with even more people. For example, Parachute Home used photo ads to promote a 60-night trial of their bedding with a Shop Now call-to-action button. Parachute’s Instagram posts have a distinctive look and feel, often displaying their products in authentic, beautiful bedroom spaces, and their photo ads were consistent with this style. The result was an ad campaign that reinforced their brand identity and leveraged their dreamy images. The ads were targeted to men and women aged 18-54, with audience profiles based on their core customers’ profiles. The result? A 3.7 times return on advertising spend, and a click-through rate that was twice as high as their ads on other platforms. Businesses can borrow Parachute Homes’ strategy by creating Custom and Lookalike Audiences on Facebook Ads Manager. There’s no question that Instagram users are crazy about video. Time spent watching video on Instagram is up more than 80 percent year-over-year. Four times as many videos were posted in 2017 compared to 2016. It’s the perfect time for brands to capitalize on the popular format to capture users’ attention. An example of a successful video ad campaign is OGX, a global hair care brand. Their mobile-first video campaign used the key message “Rock What You’ve Got” and featured women celebrating their diverse hair textures and styles. Ads were targeted to Millennial women (ages 18 to 34), and the campaign reached an impressive 61 percent of the target audience in the US, and 60 percent in Canada, the UK, Germany, and Australia combined. 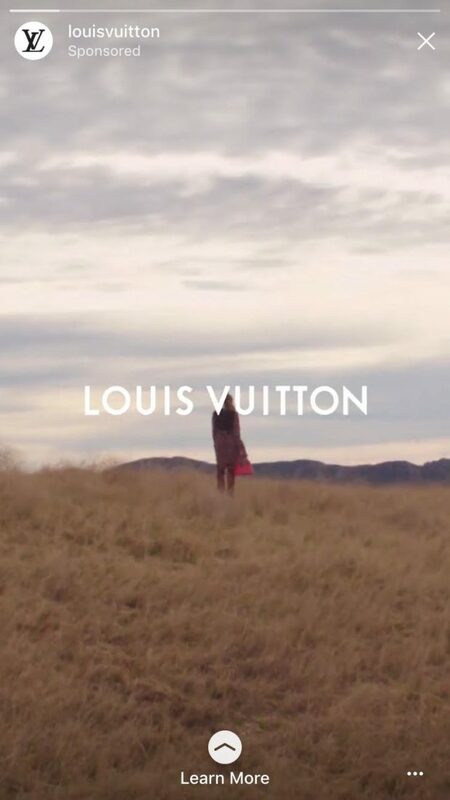 The campaign led to a 5-point increase in brand awareness among Australian women, and an 8 percent sales lift in the US. One important thing to note is that OGX features the brand in the first few seconds of the video to improve audience recall and use time wisely. Video ads can be up to 60 seconds, but OGX shows a solid video doesn’t need to be long (their ads were only 15 seconds!). 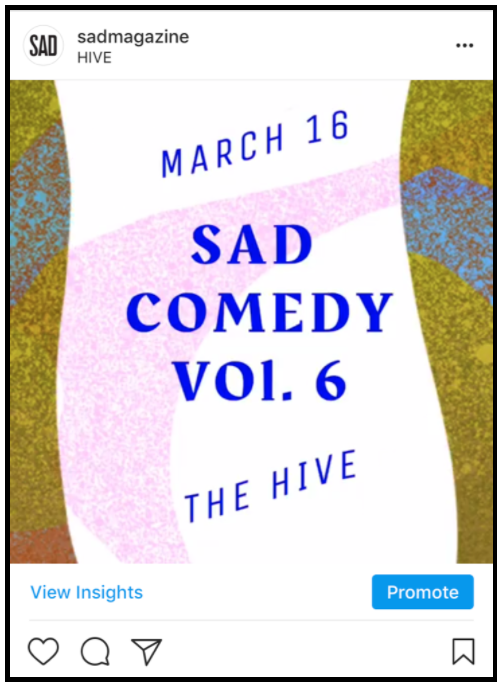 Carousel ads let users swipe through a series of images or videos, with a call-to-action button to connect them directly to your website. They offer the creative space to tell a longer story about your brand, allowing you to highlight multiple products, share a multi-part story, or dive deep into a single service in up to 10 images or videos. Kayla Itsines, the founder of fitness empire Bikini Body Guide, used a series of video carousel ads to drive awareness and downloads of the workout app Sweat: Kayla Itsines Fitness. The carousel format allowed her to showcase short fitness sequences demonstrating how users could exercise anywhere (and anytime) with the app. The campaign was targeted to women ages 18 to 42, reaching 6.4 million people and leading to an incredible 21-point lift in brand awareness. 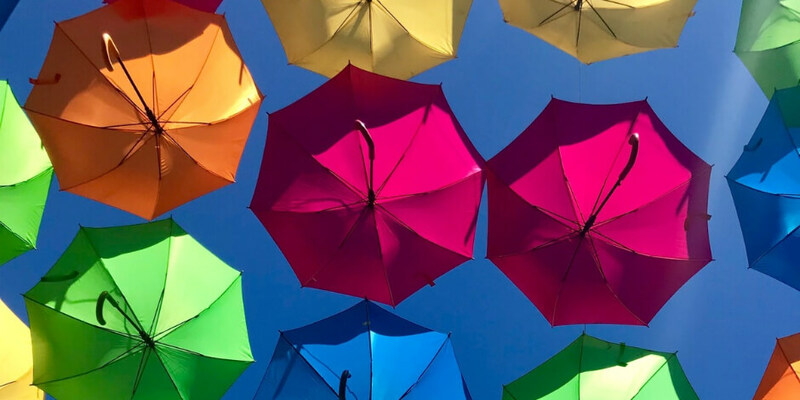 Carousel ads were a perfect fit for a brand that wanted to show the versatility of its content, and would be a good fit for other brands with diverse creative assets, like food and fashion companies. 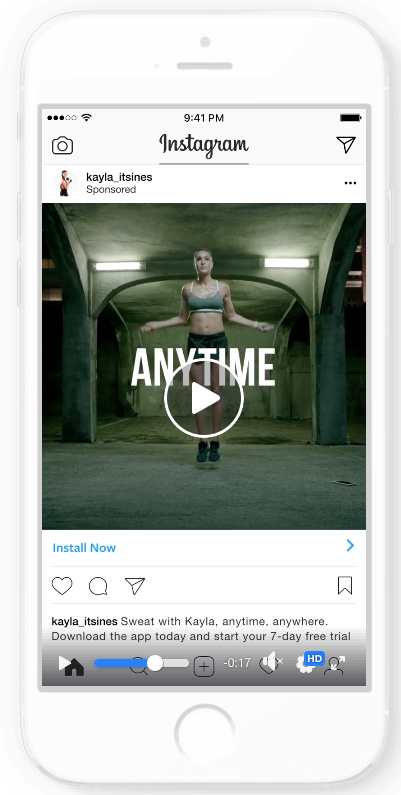 Instagram Stories Ads are full-screen ads that appear to users between Stories they are already viewing from people they follow. 300 million Instagram users view Stories every day, representing a huge audience that you can reach with your ad! As with other Instagram ad formats, you can target your audience and choose how often they see your Stories ad. Because Stories expire after 24 hours, they’re the ideal format for sharing limited-time offers and promotions. And advertisers can take advantage of all the features of Instagram Stories, adding face filters, video effects, and text to create fun and creative promotions. These options allow you to create Instagram Stories ads that look and feel like your normal posts—in video or image form. The call-to-action takes the form of a swipe-up feature that takes audiences directly to your website from your Stories ad. Advertisers can also use Facebook Canvas to create immersive videos for Instagram Stories that are optimized for mobile and load quickly for a smooth viewing experience. Facebook has an array of Canvas templates that make it fast and easy to build a Canvas ad for Instagram, or companies can choose to create a custom Canvas for a truly unique ad experience. 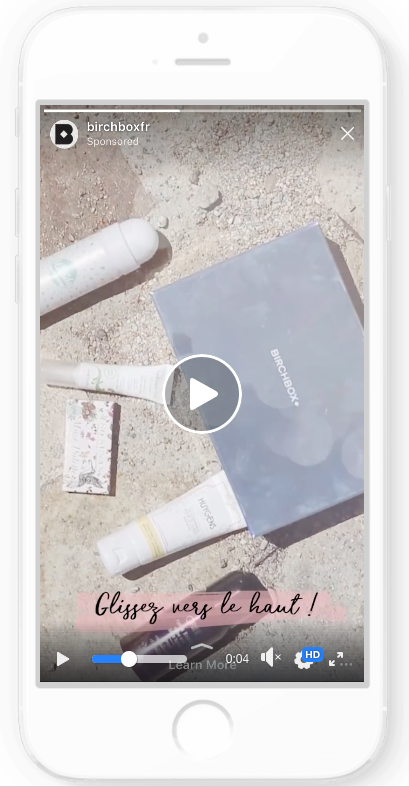 Birchbox, a mail-order subscription service for beauty products, created an ad campaign using Facebook Canvas to build awareness and reach new customers in France. Their Canvas ads featured videos of Birchbox products, inviting users to swipe up for a special promotional offer. The Stories campaign generated a click-through rate that was four times as high as other formats, and with excellent value too: the cost-per-click rate was 50 percent lower than ads on other platforms. Now that you’re an expert in your Instagram advertising options, you’re ready to put the theory into practice. Set up your business to advertise on Instagram and learn how to place your ads below. To create ads on Instagram, you first need to connect your account to a Facebook Business Page, which allows you to use Facebook Ad Manager. Ad Manager lets you create ads that run on both Facebook and Instagram. You can also customize audiences and other features, and monitor how your ads are performing. If you don’t have a Facebook Page yet, follow our step-by-step guide to setting up a Facebook Page and you’ll have one up and running in no time. Enter a name for your business, select the primary Page and enter your name and work email address. Move through the rest of the onboarding flow by entering the rest of the required fields. Learn how to add people to Business Manager. On the left side of the page, click Business Settings > Instagram Accounts. Click Claim New Instagram Account. Add your username and password, then click Next. To authorize one or more of your ad accounts to use the Instagram Account, check the box next to each ad account and click Save Changes. Now that you have your Instagram and Facebook set up for advertising, you’re ready to rock! There are two main ways to create Instagram ads in Facebook Ads Manager: Guided Creation and Quick Creation. Guided Creation walks you through each step of creating an ad, with step-by-step instructions. If you’re just getting started with Instagram ads, this is the flow to follow, and the one we’ll guide you through below. Once you’ve got your sea legs, you can jump into Quick Creation, which allows you to set up your ad elements in any order without as much guidance from the Ads Manager. If you’re already familiar with advertising on Facebook, then creating ads for Instagram is going to be a breeze! Once you’ve selected your objective, you’ll be prompted to name your campaign. The default name will just be the objective you’ve selected (for instance, “Brand Awareness”) but you may choose to give it a detailed name to help you keep track of your campaigns. Keep an eye on the the Audience size gauge chart in the right-hand column: this will let you know if you’re narrowing down your audience too much, or not enough, to be effective. When you’ve finished defining the people you want to reach, you can click Save Audience to keep and retrieve this audience profile for future ads. Experimenting with creating different audiences can help you determine the best ways to promote your business. For instance, a restaurant might want to try targeting an ad to people who live in the neighborhood, but also to a bigger geographic area of people with food-related interests. You can do this by selecting Create multiple ad sets at the top of the page. In the Placements section, you can decide where your ads will appear on Facebook and Instagram. If you select Automatic Placements, your ads will be shown to your audience wherever they’re likely to perform best. It’s generally recommended to run your ads on both Facebook and Instagram. However, if you want to limit your ads to only appearing in Instagram Stories, or only on the Instagram Feed, you may opt to Edit Placements. Next you need to decide how much you want to spend on your promotion, and for how long. You may choose a Daily Budget, which offers a maximum daily spend, or a Lifetime Budget for an ad with a set lifespan. Facebook Ads Manager also includes Optimization and Bid Strategy options, which clarify how your budget will be spent. These may be customizable, depending on your campaign goal. As you adjust these options, the Estimated Daily Reach scale in the right-hand column will let you know how many people you can expect to reach each day with your ads. Now for the fun part! You get to select the images and videos for your ads. Facebook has a guide to Instagram ad formats with all the specifications and design requirements you need to make sure your ad looks great. The Ads Manager also displays the technical format requirements as you select your images or videos. Next, add your headline and description. Keep it snappy. These have short character limits. You can also choose a call-to-action button, and the destination URL that people will reach when they click on it. Click Show advanced options if you want to track conversions through a Facebook pixel on your website, or an app event. These options will give you information about how your audience interacts with your business after clicking on your ad. Once you’ve uploaded your images or videos, added your text and scrolled through the Ad Preview to make sure everything looks perfect, you’re ready to go! Just hit Confirm at the bottom of the page. You can also create simple promotions within Instagram. If you have a post that’s performing well and getting lots of engagement, promoting it within the app is a quick, easy method to reach even more users. However, you won’t have as many customization options as you do on Facebook Ads Manager. You also need to have a business profile on Instagram set up. To run an Instagram ad within the app, click the Promote button beneath the post you’d like to boost. You may be prompted to log in to your Facebook account for authentication. From there, select your goal: do you want to drive more users to your website, or maximize the number of users who see your post? You can also choose to add a call-to-action button, like Shop Now or Sign Up. If selected, this will appear below the image or video in your post. Instagram can choose a default audience for your ad, or you can create a special audience for the post by selecting targeted interests, location, and demographics. Finally, choose your budget and ad duration and hit Create Promotion. That’s it! You can monitor the results of these in-app promotions in your Facebook Ads Manager, along with all your other Instagram advertising. Don’t forget who you’re trying to reach as soon as you set your audience filters! Your customers are more than a set of demographics and interests. You’ve learned how to reach the right people, so once you have their attention, don’t miss the opportunity to make the most of it. Check out our guide to creating audience personas to help you understand your audience. What solution does your product or service offer them? What do they need and want? Keep their goals and values in mind as you create your ads. An image is worth a thousand words—and that’s a good thing, because you can’t use that much text in your Instagram ads. Use your caption character count (2,200 for most posts) wisely, and keep your audience personas in mind. Learn how to write an effective call-to-action that will drive your audience to click on your ad and visit your website, make a purchase, or download an app. We’ve all been guilty of occasionally treating hashtags like an afterthought, but don’t underestimate their power! Adding hashtags to an Instagram post boosts engagement by 12.6 percent on average. And a branded hashtag (one that’s unique to your company or campaign) can boost engagement and awareness. You can use up to 30 hashtags on each post, but think quality over quantity. Try hashtags that are relevant to your audience and popular in your industry. Master the art of hashtagging with our Complete Instagram Hashtag Guide for Business. Did you know 60 percent of the top brands use the same filter for every post? That’s because consistency helps to reinforce your brand image. Each element of your ad should represent who you are as a company. The visuals, message, and tone are all important. Learn from the best with this roundup of surprisingly excellent Instagram accounts. It’s easy to get attached to a killer ad. It’s performing so well! It’s making so many friends! But ads, like that bag of salad mix in your fridge, are only good for so long. Switch up your ads regularly—every week or two—to prevent your audience from tuning them out. The other benefit of changing up your ads regularly, besides keeping your audience interested, is that you’ll learn which ads work best. Try out different captions, formats, and audiences. We’ve got plenty of ideas in our A/B testing guide. Like Facebook ads, you can view the performance of your Instagram ads in Facebook Ads Manager. If you use AdEspresso by Hootsuite or Hootsuite Ads, you have access to an even more detailed suite of real time engagement data that allows you to see which of your ads are performing best and which ones are flopping—and why. Tracking performance—and adjusting course as necessary—is the most important part of any ads strategy. But there are plenty of other reasons to check your Instagram analytics regularly. It helps you set realistic goals and objectives for each new campaign, gain an edge on your competitors (by keeping an eye on what they’re up to), and prove ROI to your boss or team members. Just like you should keep things fresh by experimenting with different ad formats and new campaigns, you should also experiment with different ad copy and visuals in the same campaign. Does “Learn more” convert better than “Shop now”? What about different product descriptions, hashtags, or body copy? Or different colours and photos? AdEspresso by Hootsuite makes this kind of experimentation for your Instagram ads especially easy with its A/B testing tool, even providing tailored recommendations to improve your ad’s performance. But wait, there’s more. Take Hootsuite’s Advanced Social Advertising training and certification to become an Instagram ads expert today. Start learning for free today.